Fabrizio joined Watsi on October 19th, 2015. 14 other people also joined Watsi on that day! 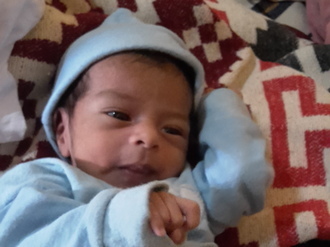 Fabrizio's most recent donation traveled 6,100 miles to support Carlos, a baby boy from Guatemala, to fund nutritional supplementation. Fabrizio has funded healthcare for 11 patients in 5 countries. 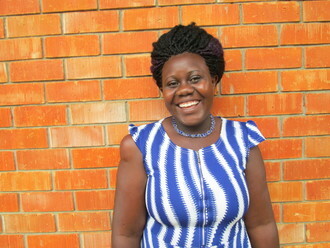 Komuhimbo is a 27-year-old mother of one child who lives in Uganda. She owns a retail shop selling herbicides for tomatoes, onions, oranges, and eggplants. She also grows food for her family. Her husband works as a porter at construction sites. In 2013, Komuhimbo developed a growth on her right shoulder. Over time, it increased in size. The growth was painful when she worked, especially when she washed clothes or fetched water. Komuhimbo visited a hospital, where she was diagnosed with a lipoma. Lipomas are benign, fatty tumors that grow between the skin and the underlying layer of muscle. They can occur anywhere on the body. Lipomas can be painful if they press on nearby nerves or blood vessels. "I am afraid the swelling might prevent me from taking care of my family in the future when it grows bigger," shared Komuhimbo Komuhimbo was advised to have surgery to remove the lipoma. Knowing she could not afford healthcare, she decided instead to use herbal medicines. When her symptoms did not improve, she visited our medical partner's hospital, Holy Family Virika Hospital. There, she underwent a mass excision procedure on November 16. Surgeons removed the lipoma from her shoulder. Komuhimbo earns little money from her shop. She and her husband cannot afford this surgery, so our medical partner, African Mission Healthcare Foundation, is requesting $196 in funding. After surgery, Komuhimbo hopes to continue with her retail shop and to work hard on her farm to produce enough food for the family. Ken is a newborn baby from Kenya. He is the third child in his family, with siblings of six and ten years of age. 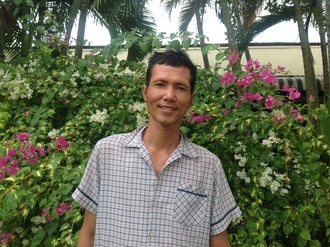 Ken's mother is a cleaner at a government office, and his father is a farmer. The family lives in a two-roomed wooden house in their ancestral land. Their income is limited. Ken was born with a malformation in a sensitive area. On November 18, he underwent the first surgery of a treatment process that will take three months. This treatment will prevent Ken from experiencing pain, discomfort, and other complications. His family needs our help to fund this $1,500 procedure. “I want my son to have a normal lifestyle," says Ken's mother, "just like any other newborn baby." Mackendy is a 2-year-old boy who was born with several holes in his heart, including a patent ductus arteriosus, an atrial septal defect, and a ventricular septal defect. The net effect of these holes is to allow oxygen-rich and oxygen-poor blood to mix in his heart without passing through the lungs, leaving him sickly and weak. Mackendy was also born with other developmental disabilities. Because of the complexity of his condition, Mackendy required a cardiac catheterization to better understand the size, location, and nature of the holes in his heart. Now that this has been completed, he can move on to have open-heart surgery to close these defects. Mackendy lives in Port-au-Prince with his mother and father and one older brother. His father is a driver for a package delivery company, and his mother works part-time in the market. Mackendy is very attached to both of his parents, and enjoys playing with his brother. "We are glad that Mackendy can have surgery, and are praying to God that everything will go well for him," his father said. 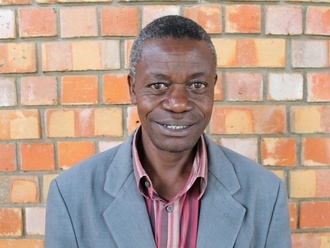 Nyakatuura, a 57-year-old pastor in Uganda, works to support his nine children, his siblings, and his mother. “He still has four children in secondary school and two in primary school,” shares our medical partner, African Mission Healthcare Foundation (AMHF). “Nyakatuura pays for their education in installments.” For the past year, Nyakatuura has had increased swelling in his scrotum. He went to the hospital in October 2015 and was diagnosed with hydrocele, an accumulation of fluid around the testicle. "If not treated, the testis can become huge, interfering with daily functioning and becoming painful," says AMHF. Doctors recommended Nyakatuura have surgery. However, he could not receive treatment “because at that time his son was also in the hospital and he still had a debt at his son’s school," AMHF explains. With $215, Nyakatuura can get surgery to drain the excess fluid from his scrotum. He explains, “All my children, my siblings who are unemployed and my mother depend on me. The little income I have would be enough to pay for my treatment had it not been for the responsibility I have to look after these people.” After successful surgery, Nyakatuura hopes that he can return to his work free from discomfort and without worry over what might result from further swelling. He can then continue to put his children through school and to care for his other family members. “Thank you for offering to help the poor. God bless you,” he says. Neat is a nine-year-old boy from Cambodia who aspires to be an engineer. “He is the youngest in his family, he has two brothers and one sister,” shares our medical partner, Children’s Surgical Centre (CSC). “In his free time he likes to play games." “Since birth, Neat’s left eyelid has excessively drooped because of a condition called ptosis,” explains CSC. If left untreated, ptosis may lead to a lazy eye which can cause permanent decreased vision or blindness in adulthood. Neat shares, “I am shy with my friends because of the way my eye looks and I cannot study very well.” With $290, Neat will receive a ptosis correction procedure. “After surgery, Neat will be able to see everything clearly out of his left eye and be more confident about his appearance,” adds CSC. Meet Akancungura, a 23-month-old boy who lives in Uganda with his parents. Our medical partner, the Kellermann Foundation (KF), tells us, "Akancungura likes playing with other children and making toys and cooking, mixing mud as a sauce. He is the first child, born into a family of both mother and father doing farm labor." Akancungura has severe acute malnutrition which has affected his development. "Malnutrition occurs when the body does not receive as many essential nutrients as it needs to be healthy," KF explains. "Akancungura’s nutrient imbalance has also led to a condition known as oedema—a condition caused by a protein deficiency that leads to fluid build-up in cavities throughout the body, causing massive swelling." $375 will provide Akancungura with the treatment he needs. "Akancungura will receive a therapeutic milk treatment to address his malnutrition" and introduce nutrients back into his diet. KF describes, "This will be a slow process—allowing his system to slowly adjust to the changes. Akancungura will be able to grow well and play with other children in the village." Akancungura’s mother shares, "I am so thankful to everyone who is supporting the health of my child." 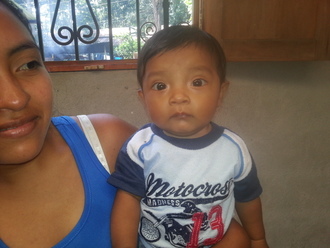 Johana is a nineteen-month-old girl who lives with her young parents in Guatemala. Recently, Johana has been losing weight and getting frequent respiratory infections. Our medical partner, Wuqu' Kawoq (WK), diagnosed Johana with acute malnutrition. "Her height is far below the average of her age and if intervention does not occur her health will continue to decline and she will be at risk of the long term effects of malnutrition." These long term effects include physiological and cognitive developmental deficiencies. "Each time her mother has to buy medicine it takes a financial hit on the family, and the government health center never had medication to supply her," WK adds. To prevent the future negative effects of malnutrition, WK recommends that Johana enroll in a nutrition program that costs $535. "This treatment will supply Johana with the growth monitoring, micronutrient and food supplementation, and medication for her to recoup some of the weight and height he has lost, overcome her respiratory infection, and increase her overall caloric intake," WK shares. "Her mother will receive intensive nutrition education thus building her confidence and ability to care for Johana throughout her childhood." “Thank you for this program. It is going to give us a lot of much needed help,” says Johana's mother.